The usual image that springs to mind at any mention of a wedding day is the classical big white wedding. We picture the bride walking down the aisle in a flowing gown fit for a princess amid a traditional church setting. 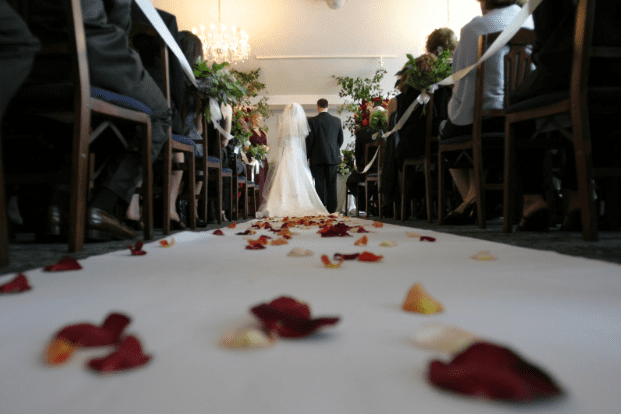 While this type of wedding is all kinds of beautiful, it may not necessarily be the best choice for everyone. Since you are likely to only have one wedding in your lifetime, it’s important to choose themes, settings and outfits that reflect you and your partner’s personality types. 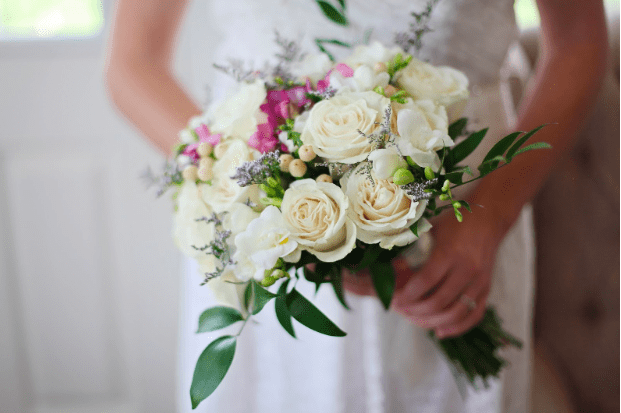 For those looking for a little food for thought in helping them plan their big special day, this article reviews some alternative wedding themes for you to think about. Planning a vintage wedding is an elegant way to shake things up. This theme can still incorporate all of the style and class of a traditional big white wedding but with a few unique, personalized touches here and there. Consider a location such as a country house or a beautiful garden for your vintage wedding. Shabby chic style decor can be used throughout the venue, and you, your beau and the rest of the wedding party can be transported to the site in classic cars. The much-anticipated climax to the wedding day is the honeymoon. Everyone dreams of having their honeymoon in a paradisiacal location such as the Maldives or the Bahamas but actually, why should you limit your beach time to just the honeymoon? Travel lovers and those that want to do something memorable and unique for their wedding can tie the knot at an isolated beach or an upscale resort. What could make your wedding photos more stunning than having them taken against the backdrop of pristine sandy white beaches and translucent azure waters? If you cannot host a beach paradise wedding for whatever reason, or you feel that it will be too difficult and expensive to fly your entire wedding party out to a particular location then why not bring the beach to you? With a tropical style wedding, even downtown Chicago will feel like the beaches of Hawaii (well, almost!). The venue can be filled with wonderful tropical plants, drinks can be served in tiki glasses, and the reception menu could feature Caribbean dishes. If you are worried about this being tacky, feel rest assured that you can be as subtle or as bold as you like with the touches of good old Tropicana. If you and your partner are the artistic, creative types then perhaps a boho style wedding will be a match made in heaven for you guys. Colorful vintage bridesmaids gowns can team up with a bright venue that has been decorated with watercolors and the works of local artists. The dinner menu can push the boundaries of traditional wedding dining and the meals and beverages can be awarded quirky and “punny” names. 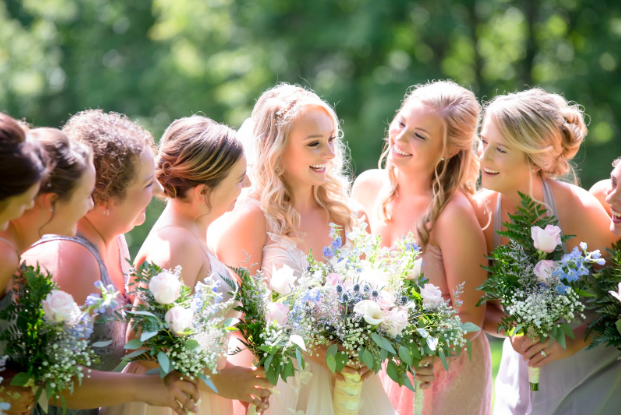 Whether you grew up in the country or you can just appreciate its charm, a rustic country wedding enables you to conjure up something completely unique. Think cocktails served up in jam jars, dinner served in a renovated barn, twinkling fairy lights decorating stunning natural scenery, and rustic wooden decor. Let’s face it: the traditional “big white wedding” is a classic wedding style for a reason. Opting to go down this beloved route definitely does not mean that you are doing the same as everyone else, nor does it mean that you have little freedom in personalizing your big day. Personal touches can be added everywhere – from the floral arrangements to the venue, the menu and the little figures that sit on the top of the cake. Something about blue and white paired together just looks so picturesque and classy. Nautical weddings are a wonderful theme that offers something a little bit different. Think boat centerpieces, blue and white tablecloths, and a seafaring themed menu. This could also be a location wedding if you prefer. With a nautical theme, you can design your wedding invitations with little anchors and boats on them. Depending on the time of year that your big day is planned for, a holiday inspired wedding may be a wonderful touch. For example, if you are going to be getting married in December, then why not incorporate a little festive magic into your big day? Think carol singers from a local choir group conducting performances in between wedding dances, grand Christmas trees scattered throughout the venue or cute Santa centerpieces.